Just what does that “Check Engine Light” mean, and how concerned should you be when it suddenly lights up? The honest answer is that an engine light signal can mean a lot of very different, but not always serious, problems with your vehicle. These days, German import vehicles operate under the direction of multiple on-board computers, all of which are constantly making thousands of tiny calculations that allow your car to function at its optimal level. Only a professional diagnostic technician is going to be able to accurately troubleshoot the direct cause of the problem to which that little “Check Engine Light” is alerting you. The expert auto repair techs at Autoworks Colorado have the knowledge and the most up-to-date equipment to understand the complexity of your vehicle’s computer systems, and diagnose and repair the intricate problems that may cause major problems in the future. 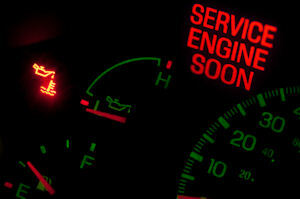 Click here to schedule an appointment when your “Check Engine Light” comes on.